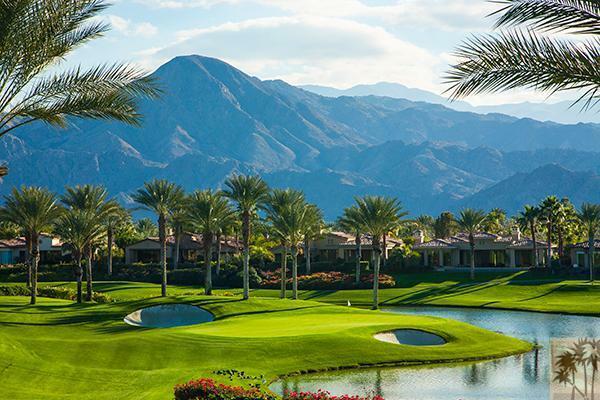 Toscana Country Club in Indian Wells, Calif.
Toscana Country Club is the final addition to the prestigious list of country clubs located in Indian Wells, one of the most desirable zip codes in America. Once you enter through the gates of this idyllic and picturesque community, you feel as though you’ve been transported to Italy, with its olive and cypress trees dotting the rolling landscape, a stone clock tower ringing out the hour, and wall fountains gushing forth to create a sensory delight. Toscana has the feel of a private and secluded paradise with magnificent mountain views all around, yet sits only minutes away from fine dining, world class shopping, entertainment and many other attractions offered in the Palm Springs Valley. Toscana is a private equity club. Home to two championship Jack Nicklaus Signature golf courses, which offer enough versatility to make the courses playable by all levels of golfers. Memberships are limited to just 275 members for each course, ensuring privacy and walk-on access for members and their guests. Sitting atop a hillside, Toscana’s 90,000 sf Club Villa resembles an Italian Renaissance estate. It is comprised of the lavishly appointed Golf Club, Il Forno Trattoria offering a superb dining experience, the 28,000 sf Spa Bella Vita and Sports Club, and much more. Non-golfers may want to consider a spa and sports membership, which entitles users to enjoy all of Toscana’s facilities except the golf course and golf practice facilities. The golf courses surround the Club’s 626 semi-custom and custom estate homes. They range in size from 2,790 sf to over 6,500 sf., with a myriad of floor plans available. There are still a few custom estate home sites available and prime for building. An on-site model home design center, and in-house interior designer, make it easy for homeowners to create the look and style perfect for them. Location: Entrance on Fred Waring @ Eldorado between Cook St. & Warner Tr. Golf Monthly Dues: $1,525/mo. approx.